In remarks made to the European Parliament in Brussels on Thursday, Soros made yet another round of dramatic statements. Expanding on comments made over the weekend about the “inevitable disintegration” of the EU, Soros said Britain’s decision to leave the European Union has “unleashed” a crisis in financial markets similar to the global financial crisis of 2007 and 2008. The 85 year old billionaire told the European Parliament that it is the height of their responsibility to not allow a disintegration to happen without utilizing all of its resources. Soros, saying that the EU is in “mortal danger”, proposed that the ESM be moved under the total control of the European Parliament (not allowing members to have a say) to allow an extension of its uses for things such as a European unemployment scheme. 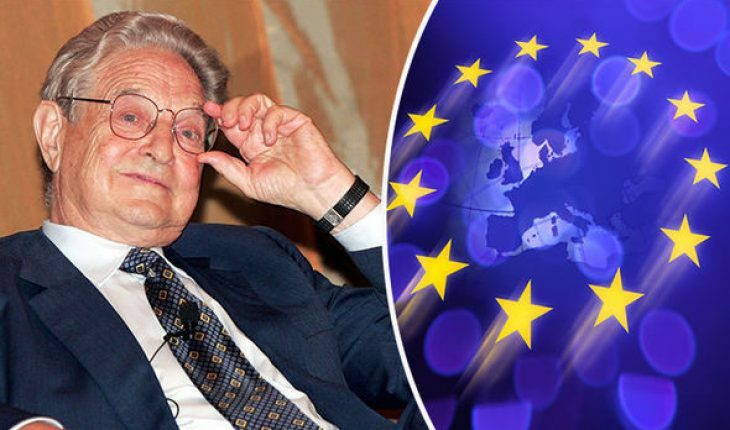 Furthermore, Soros called upon the EU to issue bonds in order to create funds that would allow it to “respond to national emergencies.” National emergencies namely being that Europe’s banking system will now be “severely tested” Soros went on to say. As Bloomberg notes, Soros also told Parliament that Britain’s decision to leave the EU has “unleashed” a crisis in financial markets similar to the global financial crisis of 2007 and 2008. “This has been unfolding in slow motion, but Brexit will accelerate it. It is likely to reinforce the deflationary trends that were already prevalent” Soros said. As a reminder, as we noted after the last time Soros came out with scary remarks, Soros was among the world’s 400 richest people to lose $127 billion in the aftermath of the Brexit result, losses which have now been largely pared back as a result of more central bank intervention, which as BofA noted have “ironically” only increased inequality and populism and assured even more Brexit-like events. Rest assured that anything that is being proposed is going to help Soros build back even more of the wealth that was lost, and ultimately get him back on top. The rush to consolidate decision making in the EU by Soros is not a surprise, as the push for one formal European super-state is now underway – that may be what Brexit truly has created.